The man has something to say and the evidence from this album is that he’s bursting to get it off his chest. 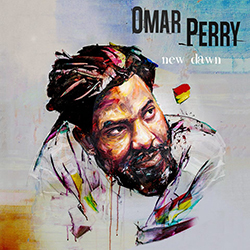 Omar Perry is back on track. Welcome home Omar. This high quality 14 track collection also comes courtesy of composer/drummer Jonas ‘Koffi’ Gouraud, drummer with the Soulnation Band, who composed the album’s set. The album collection kicks off with a powerful vocal lead and delightful backing ensembles, promoting Rastafarianism and it’s ‘high king’ Haile Selassie. Set to sweet horns, the album then moves to the Freedom track, which is rightly described as 'a gift that is not always freely available but has to be fought for’. It addresses the vicious circle that is oppression and rebellion in the ongoing search for liberty. Next up, Jah Mason lends his immense vocal skill-set to the wonderfully titled Educated Fool track. This captures the problem where such (powerful) foes of the righteous try ‘every day’ to ‘put on the pressure on the youth’. This is really real stuff, in a world where asylum-seeking humans are sent packing on the high seas and put in child cages at immigration posts. And the track’s also got a neat hook and chorus to boot! Thereafter Be Like That turns to the subject of aping others or persisting in the face of adversity. Coping with ‘war and strife’ is the theme, with some sweet female vocals expertly embellishing the overall effect. 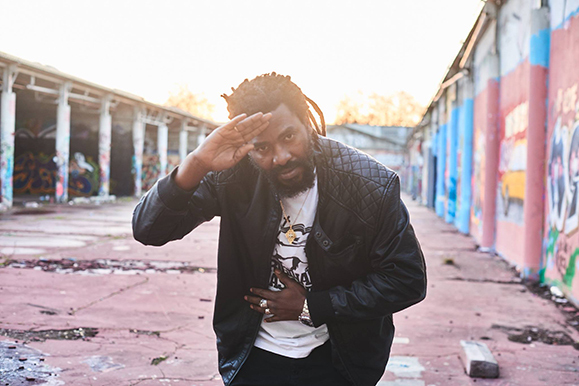 The Bad Mind People track, with its lively rhythm, then serves as a timely warning to all to be on our guard for foes, before Checking For Me, (featuring Cedric ‘Congo’ Myton of the immortal Congos) arrives, alerting us to digital pitfalls. Now this is payback time. One of the most generous acts in reggae – which can be a cruel business - was Omar’s Dad’s bequeathing the rights to the classic Heart of the Congos album to the musicians. Truth be told, the Congos are still ‘dining out’ 40 years down the road on this ‘Top 10’ all-time great reggae album. And so, it is only right, proper and fitting that Cedric should deliver with good gusto, via his fine falsetto. Omar’s softer side then shines through in his paean to Sweet Love. It’s clearly a homage to his woman, an ‘angel sent from heaven’, aided by some sweet synthesiser sounds. This is followed by the Rebel In Your Town track, which is one of the album’s best. Dressed in sweet vocal ensembles, it moves at an easy pace, expressing an admirable independence of thought. The When One Door Close track offers further insight to the real Omar. Here he cools the pace, to advise that when life’s blues kick in and the door slams in your face, that’s when the ‘real’ you either comes forth or flops. The evidence here suggests that he’s had his quota of the blues (haven’t we all?). But what’s much more important is that he’s up to the challenge. The track is neatly set to some tinkling ivories and delicate bongo sounds. Sweet sounds. Then the livelier uptempo pace returns with Sound The Trumpet, featuring Bouchkour and Komlan from the reputable Dub Inc., with some chunks that will appeal to rap lovers and the celestial players of brass. Next up, some more serious questions, set to a hot pace, in See Dem Running. This track again prompts the listener to inquire into their internal fortitude, in the face of troubled times. Good too for Omar on ‘getting real’ and broadening the agenda beyond raging against racism, to accommodate commentary on global warming via the Can’t Escape [Global Warming] track. This is a serious issue and we’re in real danger of leaving a grimy globe for our successors. And the track’s got some nice brass too! The album’s penultimate track Weh Dem A Go Say is a lively upbeat belter that will transition a morose party into an uplifting experience – go check! One thing is for sure, as is well reflected in the compilation’s closing Sweet Love (acoustic remix) track, Omar is gifted with a much more powerful and varied vocal range than his Daddy. The pair also seem to share a formidable intelligence quota. Omar’s may be more cerebral, where Lee’s is keenly intuitive or emotional. But then, comparisons are odious. Best of luck with this album Omar. It seems like your head and your heart are in the right place – and great to have the musical nous to give good effect to them. May it successfully re-launch your musical career after a short sabbatical. The man has something to say and the evidence from this album is that he’s bursting to get it off his chest. I like it. Go deh! New Dawn was released on May 25th, 2018 and is available from Khanti Records on CD and digital download.